PLUS airfare for just $499 per person! 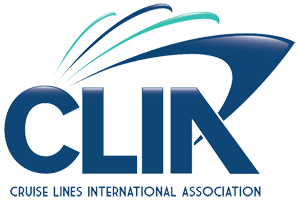 European River Cruise to qualify for $499 airfare per person. BOOK NOW and SAVE up to $1,200 per couple on select cruises. Whether you’re an art lover, a foodie, a history buff, or an energetic adventurer, your Active & Discovery cruise on the Danube River invites you to experience culture and cuisine in creative ways that are perfect for you. With Avalon Choice, you can select the experiences that are perfect for your interests and pace—from Active to Discovery to Classic. Avalon Choice gives you a choice of included excursions in each port. Start by exploring Budapest your way—stroll its streets for classic sightseeing with a local guide or take a bike ride through town for a different perspective, or learn something new with a leisurely walking tour to discover a few local Hungarian phrases. Attend a Medieval Knights Tournament at a Visegrád castle, see Gustave Klimt’s renowned “Kiss” painting in Vienna. With Avalon Choice, each day is yours to spend your way. Whether you prefer browsing the art collection of the Habsburg Empire, sipping local vintages at an Austrian wine-tasting, or joining a canoe excursion, your Active & Discovery cruise is packed with Avalon Choice inclu-sions for every pace in every place we go. Sample cheese and beer made by Trappist monks and explore their Abbey gardens; take a hike to Count Dracula’s prison tower; or tour Mauthausen Concentration Camp, one of WWII’s most notorious sites—selecting from an unmatched variety of included excursions to choose from each day. *Book a select 2019 Avalon Waterways Europe river cruise to receive $600 off per person on the cruise/land or cruise only price. Booking must be made, under deposit, and discount applied between December 19, 2018 and April 2, 2019 for travel at select times in 2019. Not applicable to custom tours. Not applicable to groups. Not applicable on TBA space. Offer reliant on space availability at time of booking and may be withdrawn at any time. Combinable with $499 Airfare promotion and Repeat Traveller promotion only. Not applicable on Royal Suites. Applies to new 2019 bookings only and offer will not be applied to pre-existing bookings. Full cancellation penalties will apply. Additional restrictions may apply; see Travel Terms & Conditions for details. May be withdrawn at any time. Offer applies to participating GFOB offices only. CLASSIC Take a Guided Walking Tour of Budapest to see the city’s most iconic sites. Spend free time shopping for Hungarian paprika or handcrafted souvenirs, or savor a piece of cream cake in the world-famous Gerbeaud Café. 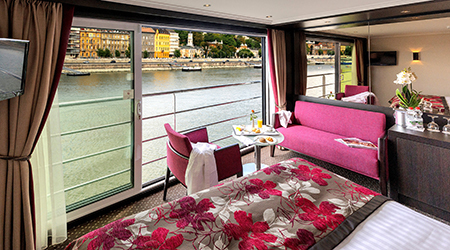 Enjoy a Hungarian Dinner on board during a scenic cruise through the Danube Bend. ACTIVE Take part in a canoe excursion through the picturesque Bend Region of the Danube for a truly unique perspective of one of the river’s most beautiful stretches. Spend free time after your selected activities to explore Palotaház, where stonemasons, smiths, potters, and paper-makers produce their traditional items using age-old techniques. CLASSIC Take a Guided Sightseeing Tour of Vienna, including a tour of Belvedere Palace to see Gustav Klimt’s renowned “Kiss” painting. Spend free time this afternoon strolling through the pedestrian Kärntnerstrasse, then take a break for a piece of Sachertorte. This evening, you may choose to attend an Optional Musical Experience to conduct your own orchestra, followed by a classical waltz and operetta concert performance to enjoy. CLASSIC Take a Guided Tour of the Museum of Fine Arts, followed by the World Museum Vienna, commemorating the past of the Habsburg Empire. You might decide to join a Guided Optional Hike this evening to the vineyards surrounding Vienna, and also enjoy an Optional Excursion to a local Viennese Heurigen (Wine Tavern). Tonight, enjoy live entertainment on board your ship. DISCOVERY Enjoy a Guided Visit that showcases production of regional fruits, vegetables, wine, or other products. Relax on board this afternoon to enjoy the picturesque Wachau Valley scenery as you cruise to Grein. DISCOVERY See Burg Clam on a Guided Visit, and meet the Count of Clam during your tour. CLASSIC Take a Guided Walk of Grein, including its historic theater, the oldest in Austria still holding regular performances. Take a mid-morning cruise to Mauthausen. CLASSIC Pay homage to a pivotal time in human history with a Guided Tour of Mauthausen Concentration Camp, one of the largest and most brutal Nazi camps of WWII. This afternoon sail to Linz arriving this evening. Join a Guided Optional Pub Crawl through Linz to sample local libations and mingle with the locals. Later, enjoy live entertainment on board. CLASSIC Visit the stunning rococo-style Engelszell Abbey, and explore its Sensory Garden—complete with stone labyrinth, herb garden, and vineyard. Sample cheese and beer made by the resident Trappist monks. ACTIVE This afternoon, enjoy a scenic Guided Hike along the Danube’s Schlögen Oxbow bend that cuts a dramatic landscape made by centuries of natural elements. Or, as a relaxing option, enjoy free time on the Sky Deck this afternoon while you sail through the amazing horseshoe bend of the Danube’s Schlögen Oxbow on your return to Linz. Later, enjoy a farewell dinner onboard, followed by live entertainment. 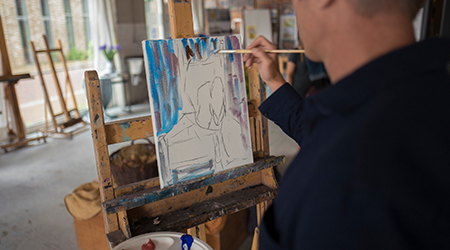 Interested in SAVE $1,200 per couple on select 2019 Avalon Waterways River Cruises?